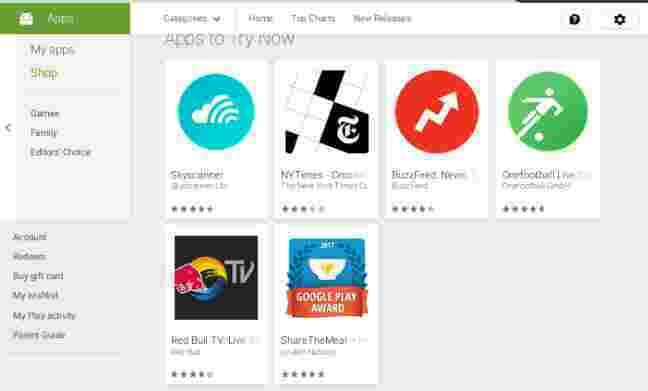 Home Tech News Google Added " Try It Now " Button To Play Store By Using Instant Apps . Google Added " Try It Now " Button To Play Store By Using Instant Apps . Google Play which is developed by Google , and most trusted one of The source to download the application on Android device . Google made several change on the play store . One of the most notable and useful change is addition of Try It Now button by using the Technology " Android Instant Application " . Android Instant Application technology makes it easy to access to the applications from search, social media, messaging, and other deep links without the stop and first install the app. Firstly Google announced about Instant Apps in previous year 2016 at the conference of Google I/O 2016 Developers . Till May 2017 Instant Apps were available for selected developers for testing . Instant Apps were generally released in may 2017 . In previous day through Instant Apps users could access to the certain usefull and necessary modules of the application without downloading the applications. Now Instant Apps are accessible across 500 devices around the world . Google added Try It Now button in Google Play Store by using Instant Apps Technology and now users would be able to try the applications without downloading them . Google selected the application which are available for Instant Apps . 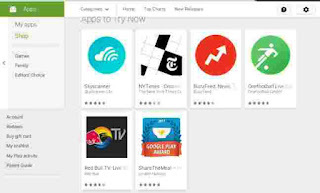 Here we provided the short list of applications which are selected to access to the Instant Apps which list includes :- BuzzFeed, NYTimes (Crossword), Onefootball Live Soccer Scores ,Hollar, Red Bull, Skyscanner .With “Try It Now” prompts, Google says it will be clearer that try now option will work only for those applications which support the Instant Apps feature. Google has announced a revamped Editors' Choice tab in Play store which is now live in 17 countries. Google designed new home for Games featuring trailers and screenshots of gameplay. This section will introduce new sections soon – one for paid games and another for upcoming and trending games . Users will also get a reminder to try those applications which support Instant Apps . Users will get reminder by play store to try games which recently installed by them . Google will also expand successful 'live operations' banners on the Play Store. Google has also introduced the Google Play Security Reward Program to incentivise security research for popular Android apps including Google's own apps. The program will allow Google to find vulnerabilities and notify developers via security recommendations on how to fix them.